BIOTEK instruments and instrument cases are generally composed of aluminum, stainless steel, and/or polymeric materials. 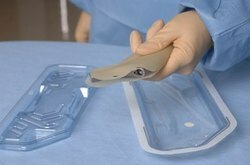 The cases may be multi-layered with various inserts to hold surgical instrumentation in place during handling and storage. The inserts may consist of trays, holders, and silicone mats. The instrument cases are perforated to allow steam to penetrate these various materials and components. The instrument cases will allow sterilization of the contents to occur in a steam autoclave utilizing sterilization and drying cycle that has been validated by the user for the equipment and procedures employed at the user facility. Instrument cases do not provide a sterile barrier and must be used in conjunction with a sterilization wrap to maintain sterility. 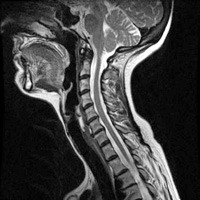 Magnetic Resonance Imaging (MRI) is a commonly accepted and widely used medical procedure. It is often safe to perform MRI on an individual that has an orthopaedic implant device. However, it may be contraindicated in certain situations because the magnetic field present in the MRI environment may, under certain circumstances, result in movement or heating of a metallic orthopaedic implant device. Metals that exhibit magnetic attraction in the MRI setting may be subject to movement (deflection) during the procedure. Both magnetic and non-magnetic metallic devices of certain geometries may also be subjected to heating caused by interactions with the magnetic field. Of secondary concern, is the possibility of image artifacts that can compromise the procedure and image quality. This document provides recommendations for cleaning and sterilizing non-sterile Biotek implants. The information provided applies to unused and non-contaminated Biotek implants only. Explanted Biotek implants must never be reprocessed and should be handled according to hospital protocol upon removal. It must be noted that most implants provided sterile but rendered un-sterile (packageopened but unused) can be processed via these recommendations. To determine which sterile implants can be resterilized, refer to the package insert included with the sterile implant. 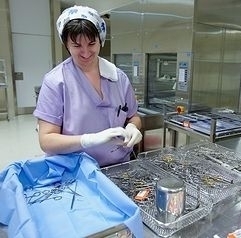 Any implants that has not been used, but has become soiled, should be handled according to hospital protocol. Biotek does not recommend the processing of soiled implants. These recommendations are to be followed unless otherwise noted on specific product insets. 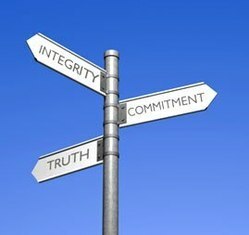 Our philosophy is that Biotek and its Team Members will comply with all applicable laws and regulations, adhere to the highest ethical standards, and act as responsible members of the communities where we operate.